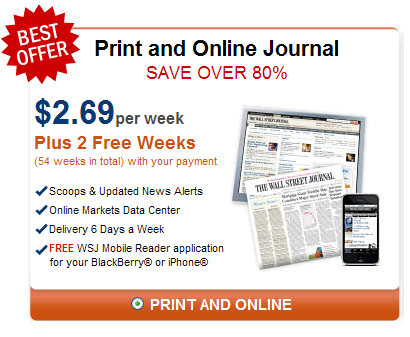 Those intrepid users who head on over to the Wall Street Journal’s subscription page will find that you can currently nab a yearly subscription to both the paper and online version of the paper for $140 a year, or $11.66 a month. Although the Journal currently markets it as a promotion that’s over 80 percent off the normal asking price, subscribers are able renew indefinitely at that price. Although the Wall Street Journal is the only publication actually charging more for its digital version than its print version, other publishers appearing in the article will charge the same, or offer only small discounts. For instance, Men’s Health will charge the usual $4.99 newsstand price, and Esquire will charge $2.99, a $2 discount from the paper version. 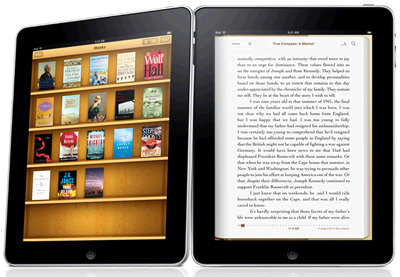 Advertisers have lined up to secure their spots on the iPad. Unilever, Toyota and Fidelity have all plopped down $200,000 apiece for single ad spots in Time’s iPad version, and The Wall Street Journal charges $400,000 for a four-month ad package. Six advertisers, including Coca-Cola and Fed-Ex, have already jumped onboard.